Well Friday saw another absolute awful instalment from NRK's 'Melodi Grand Prix'. We don't mean to be bitchy but don't you think Per and Maria could have done a couple of weeks of 'Atkins' before appearing on telly? The only decent song this week coming from Alexander Rybak with the fiddle playing in 'Fairytale. We here at the Schlager Systems think it could possibly win for Norway. The only other decent song in the contest is the fantastic 'Find My Girl' by Zuma front man Alexander Stenerud. Compared the last few years Norway's song choices for this year are dire - we know there is much more talent in Norway that what has been put forward for the show. Stay Tuned Lots of Schlager Interviews Coming Your Way! Well as MF 09 season starts to get into full flow, we here at the Schlager Systems will be bringing you as many interviews as possible. So keep checking back! The Schlager Systems are back after a lengthy absence due to several personal disasters and difficult circumstances. We are bigger and better with a lot more glitter! Anyway, we quite like Agnes Carlsson, winner of Idol Sweden 2006. This is her new song 'On and On' which is a little bit 'Ace of Base' - which means it's a slice of pure svenska europop - nothing wrong with that! She is a little ray of sunshine through the shite we have to endure through this miserable forthcoming winter. Our Own Marty Releases Debut Album! 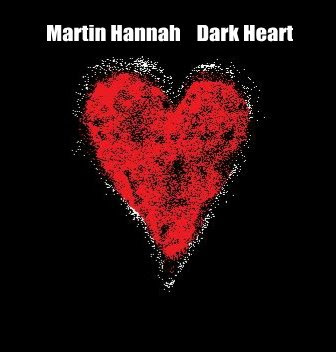 Nothing like a bit of self promotion but Marty from the Schlager Systems has released his first solo album, entitled 'Dark Heart'.... it's not schlager but it is rather good... available from itunes (worldwide), Payplay.fm (worldwide), Amazon.com (USA/Canada only), Bengans.se (Sweden), åhlens city (Sweden) to name but a few. Go buy it and show support lol!